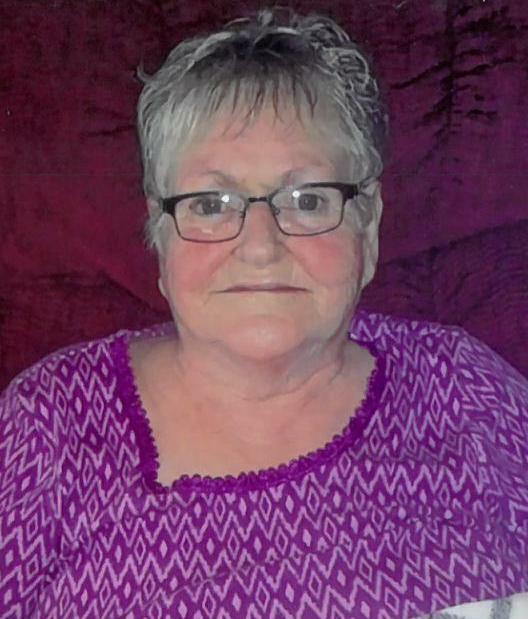 It is with great sadness that we announce the sudden passing of Edna Marie Whitty, age 78, beloved mother, grandmother, sister and aunt, on Saturday, November 3, 2018 at the QEII Health Sciences Center, Halifax Infirmary Site. Born in Ingonish Beach, October 25, 1940, Edna was the daughter of the late Thomas and Rachel (Donovan) Whitty. She has been a resident of the Northside Community Guest Home for the past nine months. She enjoyed playing cards, bingo, watching television programs, “Wheel of Fortune” and “Jeopardy”, and listening to music. Edna is survived by her children, Rachel (John) MacDonald, Karen (Norman) Bona, George (Amanda) Whitty all of Sydney, Teddy Whitty, Sydney Mines; numerous grandchildren and great-grandchildren; her sisters, Gertrude Whitty, Evangeline Hawley, Cecilia (Donnie) Farr, Barbara (Murdoch) Herridge, all of North Sydney, Eileen Hawley, Ingonish Beach; sister-in-law, Judy Whitty, Ingonish Beach; also her aunt, Bernie Whitty, who resides at the Highland Manor, Neil’s Harbour; nieces and nephews. Besides her parents, Edna was predeceased by her brothers, Thomas and John Joseph Whitty; her sister, Leona Landry; grandsons, Stephen Whitty and Lincoln LeBlanc; nephew, Allan Joseph Herridge; niece, Wanda Royal. Visitation for Edna will be held 2-4 and 7-9 p.m. Thursday in the W.J. Dooley Funeral Home, 107 Pleasant St., North Sydney. A funeral Mass will be celebrated 11 a.m. Friday at St. Joseph Church with Rev. Doug MacDonald officiating. Burial will follow at Holy Cross Cemetery, North Sydney.